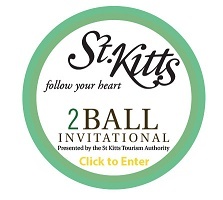 The 2nd Annual St. Kitts 2 Ball Invitational is a friendly tournament featuring two-person teams competing in a 36-hole gross and net better ball event. 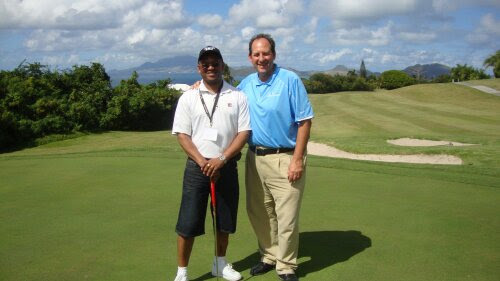 Conducted by Golf Ontario, the competition is the centerpiece of a week long event, featuing a total of five golf rounds, including one on the Robert Trent Jones II course at Four Seasons Resort Nevis, and a host of social activities and receptions suited for golfers of all skill levels. 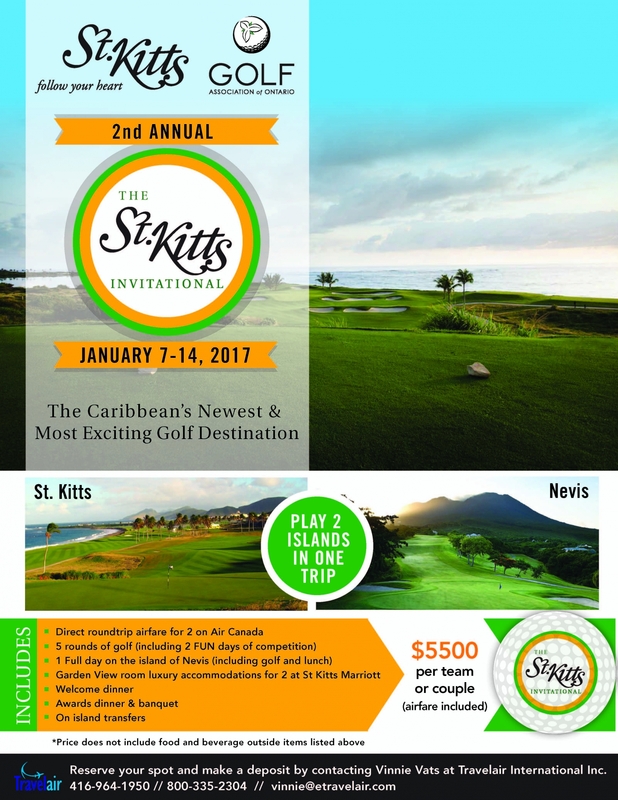 Guests taking part in the festivities, will stay at the St. Kitts Marriott. 2Ball week takes place January 7-14, 2017. A special air and hotel package is available from Toronto (see below). Visitors from outside of Canada are welcome to participate as well. Land only packages are available upon request. Click here for more information and inquiries.